With a stay at Hotel Les Suites Labelle in Montreal (Ville-Marie), you'll be steps from Sainte-Catherine Street and 14 minutes by foot from The Underground City. This eco-friendly aparthotel is 0.3 mi (0.5 km) from St. Denis Theatre and 0.7 mi (1.1 km) from Complexe Desjardins. Make yourself at home in one of the 97 air-conditioned rooms featuring kitchenettes with refrigerators and stovetops. 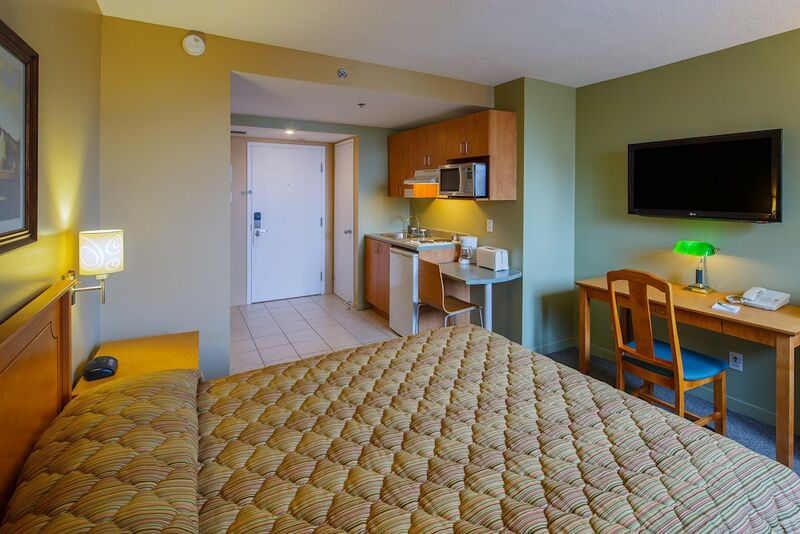 37-inch LCD televisions with satellite programming provide entertainment, while complimentary wireless Internet access keeps you connected. Conveniences include desks and microwaves, and housekeeping is provided daily. Enjoy recreation amenities such as a 24-hour fitness center or take in the view from a terrace. Additional features at this aparthotel include complimentary wireless Internet access and tour/ticket assistance.